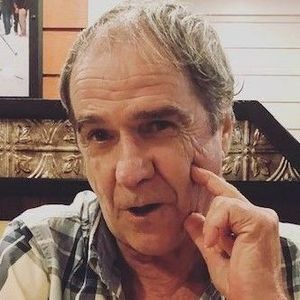 Denis C. Dion, 72, of Manchester, died March 18, 2019 at Catholic Medical Center after a brief battle with cancer. He was born in St. Isidore de Clifton, Quebec, Canada on December 2, 1946 to Wellie and Yvonne (Hamel) Dion. He lived most of his life in Manchester and became a U.S. citizen in 2017. Denis was owner and operator of Dion Drywall, Inc. in Manchester for many years. He enjoyed fishing, eating at his favorite restaurant, The 99, and time spent with his family, especially his grandchildren. He was predeceased by his parents and three siblings, Francine Dion, Denise Labranche and Raymond Dion. The family includes his wife of 47 years, Pierrette L. (Scalabrini) Dion of Manchester; two daughters, Julie M. Dion and Daniele Dion both of Manchester; five grandchildren, Louis Pierre-Dion, Micaylah Pierre-Dion, Thomas Pelletier-Dion, Mya Powell and Nevaeh Powell; four siblings, Guy Dion and his wife, Jeannette, of Goffstown, Lise Dion and her predeceased companion, Richard Daigle, and Michel Dion and his wife, Diane, all of St. Isidore de Clifton, Quebec and Johanne Dion of Sherbrooke, Quebec; cousins and many nieces and nephews. SERVICES: There are no services planned at this time. Add your thoughts, prayers or a condolence to Denis' guestbook.